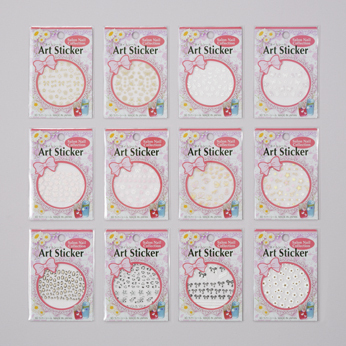 Our products are all 100 yen (excluding tax）. We are handling about 20,000 items. We hereby introduce our popular products for examples. We prepare souvenirs for tourists from overseas. 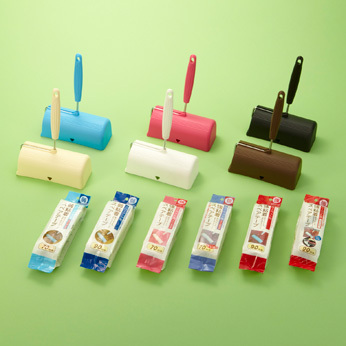 CAN DO has a variety of knick-knacks suitable as souvenirs from Japan, such as stickers, memo pads and paper bags with a design of Mt. 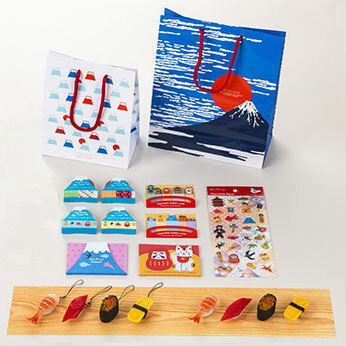 Fuji, a World Heritage site, and sushi-shaped magnets and straps. Please visit our stores. 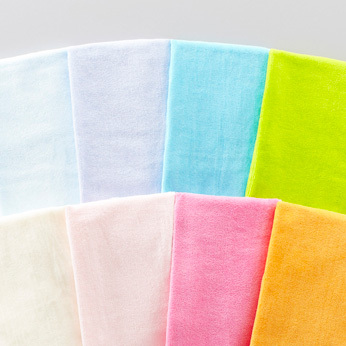 “Tenugui”, Japanese traditional hand towels have a variety of usage. For example, they can be used to wrap things like pouches. They also can be used as a kitchen cloth or interior accessory. Please find out your favorite design. CAN DO offers items that are attractive to adults as well as children. 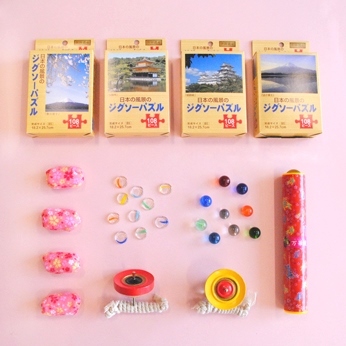 Traditional toys such as Ohajiki and Otedama, and jigsaw puzzles of Japanese landscapes such as Mt. Fuji are popular. 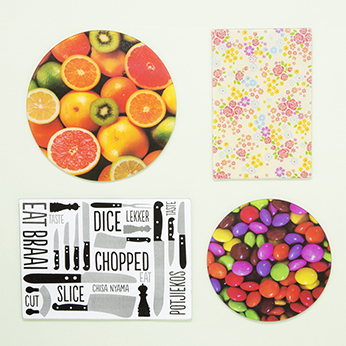 A variety of kitchenware for eating, cooking and storing are available. These items make food preparation more enjoyable. CAN DO has a variety of novelty items. 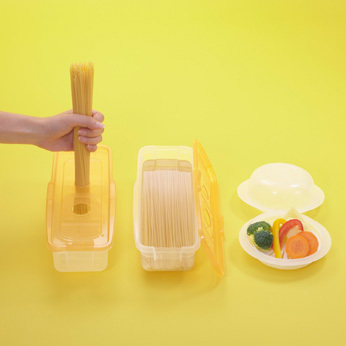 The left photo shows a container for cooking pasta using a microwave. The right photo shows a vegetable steamer used in a microwave. These items are popular because food can be prepared by simply heating in a microwave. The elegantly shaped, clean white container series is both stylish and functionally superior. Please choose your favorite design. This item can be used as a cutting board or as a plate for fruit or dessert. Many people will be attracted by the superior functionality and design of our selected items. 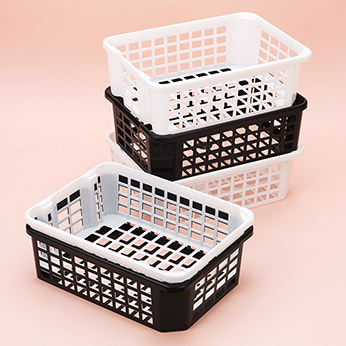 These baskets are useful for storing items and keeping a room in order. Since the shape of the basket's inner front is different from the rear, the baskets can be stacked with items placed inside. When not in use, they can be stacked one inside the other to save space. 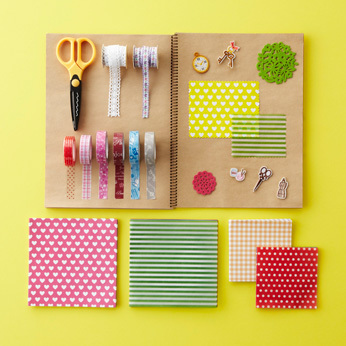 With these collage items, handicraft work is more fun. Utilize these items to make a thoughtful decoration for a gift for someone you love. 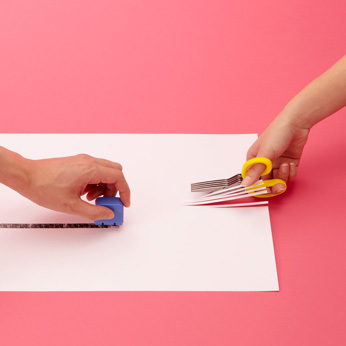 With these roller stamps and shredder scissors you can easily hide and cut away personal information on documents, postcards, etc. 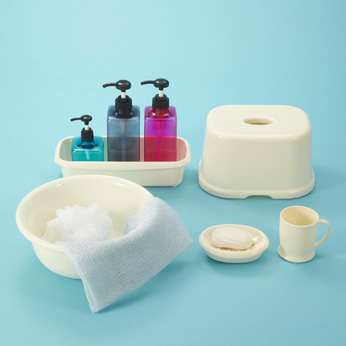 With these quality items, your bathroom will become more comfortable. 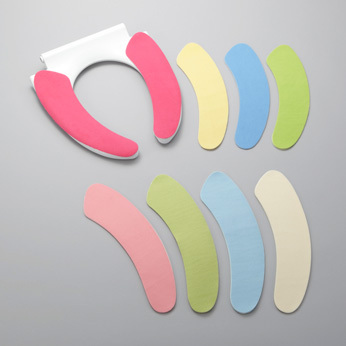 These soft towels are shirred whereby the thread ends are split so that rings or finger nails cannot snag on the towel. Enjoy the soft luxurious feeling. The popular bathing items series offers tranquil colors suitable for the bathroom. The covers can be trimmed to fit the shape of your toilet seat. These convenient covers are easily attached. Different types, such as thick fluffy covers and covers with cute patterns, are available. Please choose your favorite designs and colors. These items reduce the work required for daily cleaning and laundry. Carpet cleaning rollers are available in different colors so you can choose the one that suits your living room. The tape is easily replaced by sliding it from the side of the device without opening the cover. 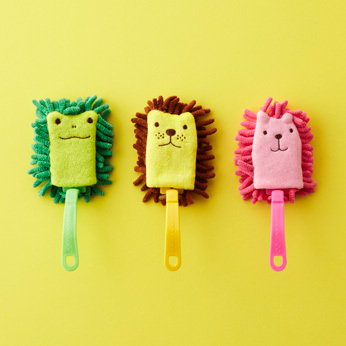 These cute handy mops feature motifs of animals, a frog, a lion and a rabbit. 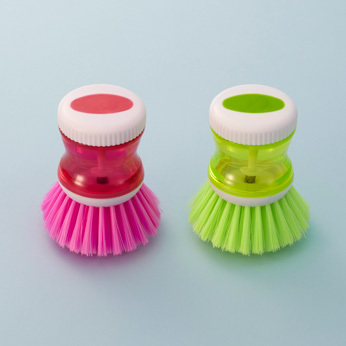 With these mops, cleaning around the desk or living room will be more fun. 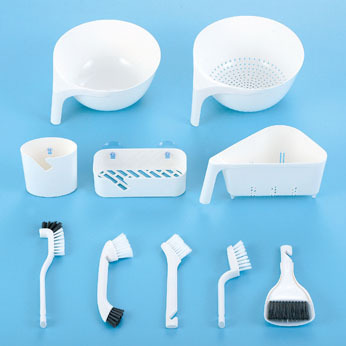 A brush is integrated with a detergent dispenser. Just the right amount of detergent is provided by pressing the button on top while using the brush. Suitable for cleaning collars and sleeves. These items are recommended for those who want to beautify and relax with ease at lower prices. 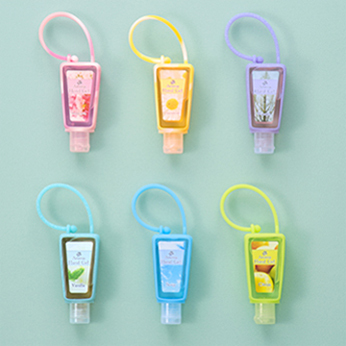 This alcohol-based bactericide gel comes in a cute container which can be attached to a bag or baby buggy. You can easily sterilize anywhere, anytime. Please choose your favorite fragrance. These items are for relaxing a tired body. You can use them during a break at work or before going to bed. 3D-type nail stickers for decorating your own or artificial fingernails. They fit all kinds of curves. They can also be used for decorating knick-knacks. We have selected the items based on their quality and comfort. You can wear and carry them when you go out. Belts with simple standard designs can match any style. 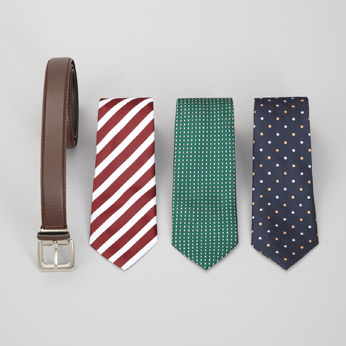 A variety of necktie designs are available depending on the season. 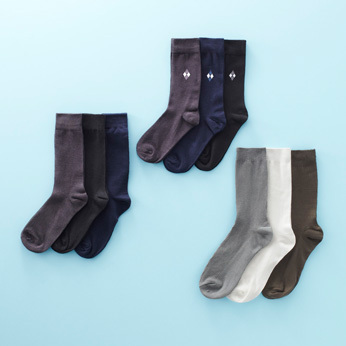 You should stock these comfortable socks. Please check out the different sock designs at our stores. 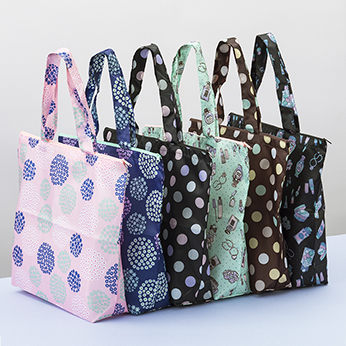 Convenient shopping bags with cute designs. Select your favorite for daily use. Interior decoration items will add a little accent to your daily life. Utilize them to create your own interior decoration. Let's introduce some green into your life. 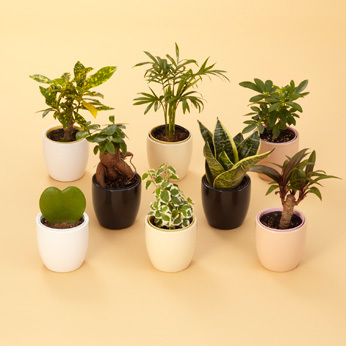 A mini houseplant placed on a desk will brighten up a room. Applied to a window or mirror, this colorful interior decorating gel will brighten up a room. Many varieties are available. 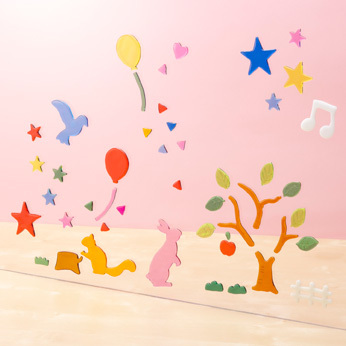 Cute toys, which use solar power to gently move, will heal your mind. No batteries are needed. Many varieties are available. 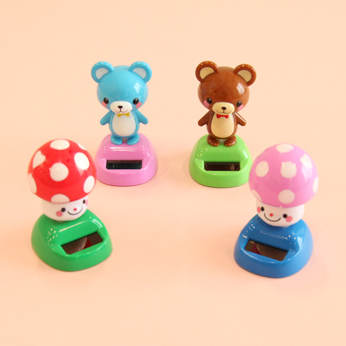 Because household items are important items, we offer them at 100 yen. A variety of items indispensable for daily life are available. 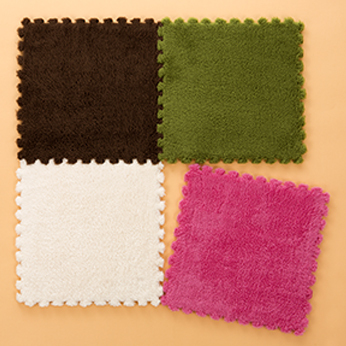 You will enjoy the feeling of the fluffy joint mats which can be used in combinations. 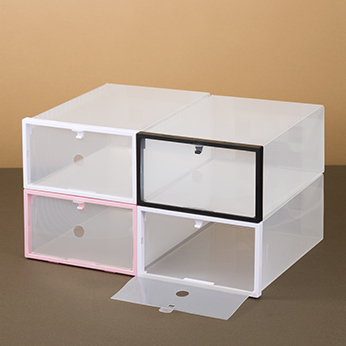 With the clear stackable shoe case, you can easily see the shoes inside. The case can also be used for storing knick-knacks. 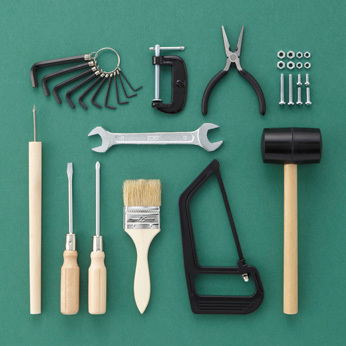 DIY allows you to create your own things with your desired specifications. We offer a variety of items including professional-grade items. 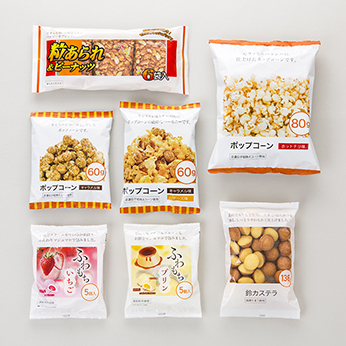 Items of trusted quality are developed based on customers' preferences and offered at 100 yen. 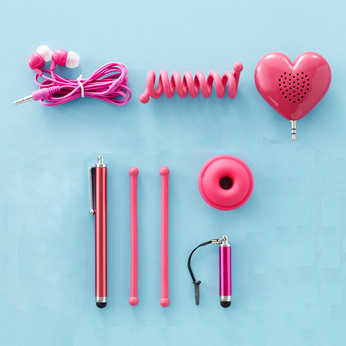 We have an extensive lineup including touch pens, earphones and speakers for the increasingly popular smartphone. 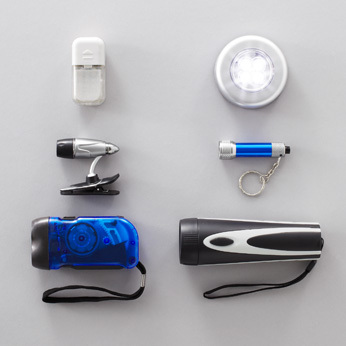 A variety of items for daily and emergency use such as a touch light and key holder-type mini light. An eco-light powered by electricity you manually generate is also available. 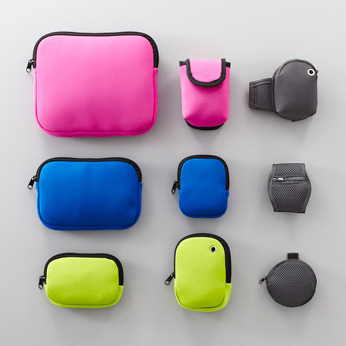 Colorful padded cases are ideal for storing precision equipment such as games, musical equipment and digital cameras. 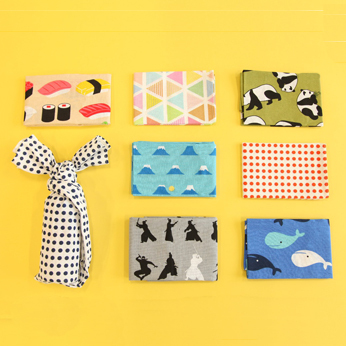 Arm-band type cases are convenient for jogging and walking. Food items for various needs can be purchased. An extensive selection of ingredients for home cooking is also available. 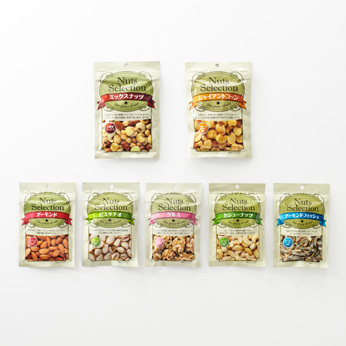 We offer tasty sweets such as popcorns , candies and chocolates. 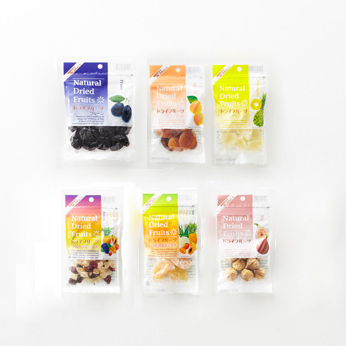 Selected dried fruits in ziplock bags are ideal for travelling. Health supplements which promote healthy daily life are available at 100 yen.